We'll connect you with an experienced collector who can make an offer, or point you to an auctioneer, depending where you reside. We're not resellers, brokers, or “flippers.” We're a not-for-profit group of whiskey aficionados who want to get good bottles to good people. 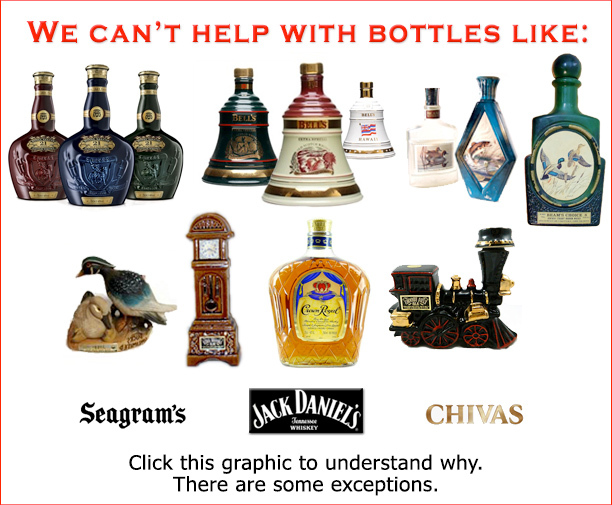 We can help with bourbon, rye, single malt, or any brown spirit like cognac, armagnac, or rum. For multiples or collections, just include the general details. Hmm, the form is not loading,click here to try to reload it. Otherwise see the link below. Thanks.